When Maya Wilson and her three kids transplanted to Alaska in 2011, she didn’t know what to expect. But what she ended up finding was home—and she turned her love for the gorgeous landscapes and fresh cuisine into the now hugely popular blog Alaska from Scratch. 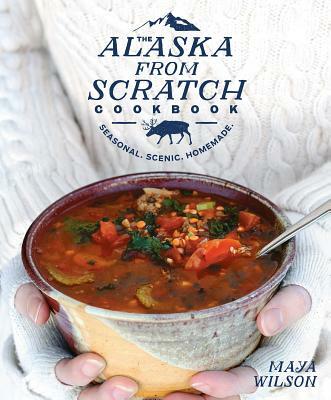 Maya’s first book is filled with 75 delicious, family-friendly recipes that are based on the seasonality of Alaska. There’s an abundance of wild berries, so summer recipes are full of them, and to get through the cold winters, she includes hearty soups and pot pies. Her recipes—sheet pan balsamic chicken, coffee chocolate chip banana bread, and Kenai cheeseburgers—are created for busy families like hers. And of course, she incorporates plenty of the seafood Alaska is famous for: halibut poached in Thai curry, a salmon superfood salad, and local recipes like reindeer sausage and moose shepherd’s pie. Maya Wilson launched the Alaska from Scratch blog in 2011. Since then, it has grown to be Alaska’s premier food blog, reaching a global audience in the millions each year. She is a food columnist for the Alaska Dispatch News, a chef, and a recipe developer. She lives on Alaska’s Kenai Peninsula.